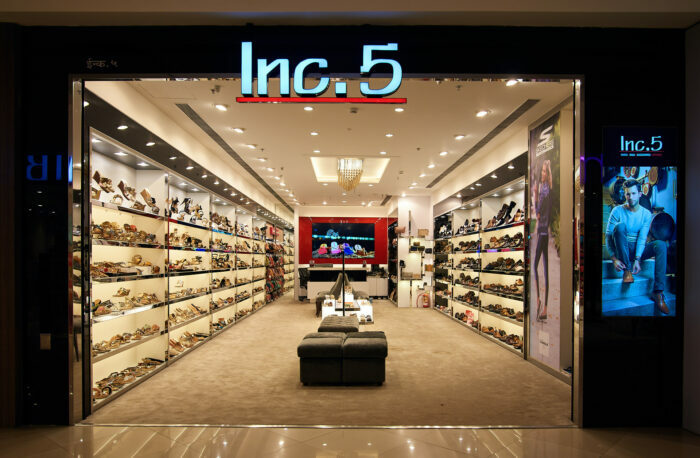 To most of the ladies out there and the men who go out shopping with their better halves, you’ve probably heard about the brand INC. 5. It is a brand that can boast about having an annual turnover of 163 crores, presence in around 300 stores all over India and having their own 54 exclusive stores all over the country. However, the journey to reach these heights wasn’t easy and unlike the normal. 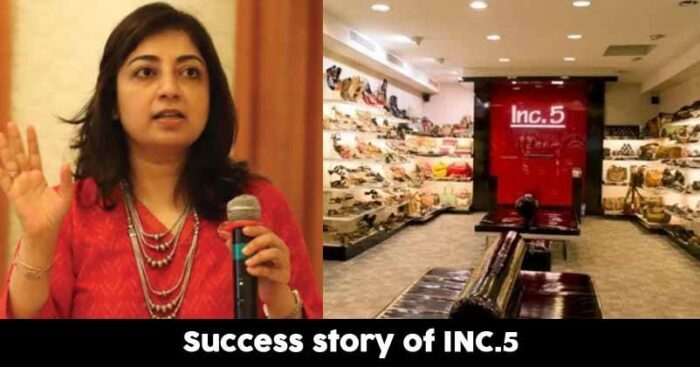 It all started with the company ‘Regal Shoes’ 1954, a company started by the Grandfather and later managed by the father of Inc 5 founder, Almas Nanda. ‘Regal shoes’ manufactured basic and formal footwear but was the motivation for Almas Nanda to pursue the wider female shoe market. Almas Nanda was clever enough to understand the problem of every single woman out there. The need to feel confident, look smart and feel comfortable, all at the same time! According to Mr. Amin Virji, the Managing Director of Inc. 5 and the brother of the founder, Almas Nanda used to try out the shoes herself and found the problems that needed to be solved, to make smart shoes comfortable, especially heels. She started her store in 1998, at a 100 sq ft shop in Heera Panna Shopping Centre, Mumbai and handled their designing herself. Almas wanted to break the myth that fashionable footwear cannot have the comfort element. She travels a lot and incorporates the trends in the footwear that attracts her in all of the places she has been to. If Amin is to be believed, the major part of their success is owed to word-of-mouth as when they started (1998) the internet wasn’t much popular. The great responses only made them look forward and in no time they opened two stores in Mumbai in a span of mere two years. Moreover, in 2001, the decision to merge ‘Regal Shoes’ and ‘Inc. 5’ was taken to establish ‘Inc. 5 shoes private limited’. The company also made a smart decision to not have any distributors of its brand, keeping the control within the brand. However, this has not stopped them from exporting quality products to Sri Lanka. Moreover, they do not own any manufacturing units and lease out contracts to various manufacturers, allowing easy and quality distribution of work. The brand has cleverly explored the exponentially growing e-commerce market in India. They have their products selling on major e-commerce platforms like Amazon, Flipkart, Myntra, etc. They do understand that this increases competition even after high sales. Inc. 5 now has also established two home brands, Atesber and Privo, which cater and explore the growing men’s footwear market. The company that is focusing on exploring the international markets, establishing exclusive Inc. 5 handbags and increasing sales, is an example of a home-grown, independent, woman-led brands that deserve applause. 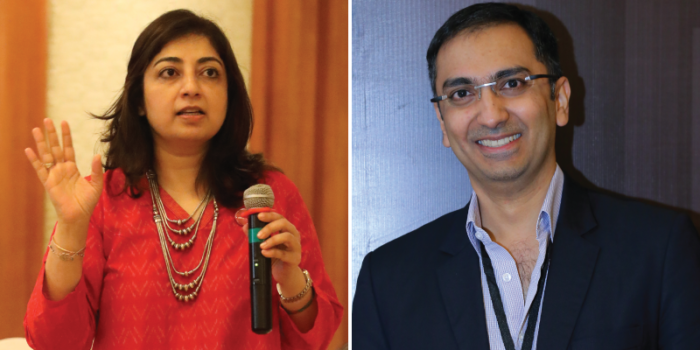 Moreover, the founder-managing director, the brother-sister duo is an example for every Indian household to believe in hard work and family values.